It was like a breath of fresh air. Hung at the Shipyards in North Vancouver, this handsome place was perfect for VMQG's first show. Refreshingly, quilts were hung simply and without drape. Modern quilters often take great pleasure in designing the backs of their quilts. I overheard one woman say, " I don't know which is the back or the front, they're both so beautiful!" Plus I had to giggle a few times at how people's feet lined up with the quilts in my photos. 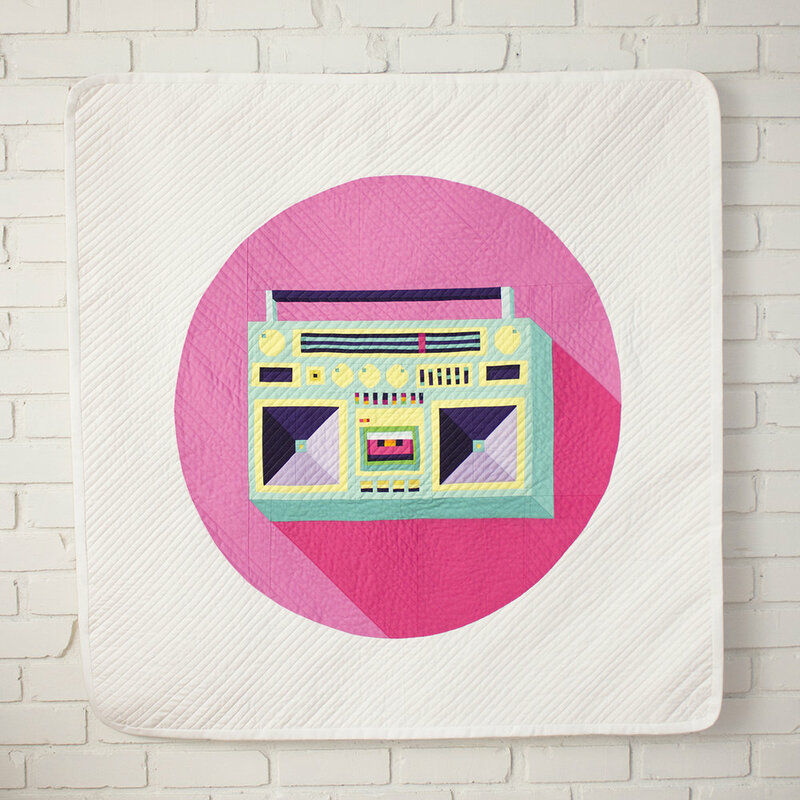 Giggling and modern quilts. Totally. Allowed. These photos are just a fraction of the show. The show was bursting with striking quilts. I arranged this gallery slideshow with the title cards before the quilts themselves (except mine and Amy Dame's). There were so many more quilts I wanted to include but realized after reviewing my photo's I seemed to have gotten trigger happy and at some point I stopped including the title cards... Yup, same thing happened to me at Quiltcon. Note to self: stay calm and title card on! Amy Dame's quilt won the Canadian Quilter Association ribbon, voted on by the VMQG guild members. It was outstanding and was a no brainer it should have won. There's no title card but I included some close ups of her paper piecing. When I first saw her quilt I thought, "Huh. Stickers. Okay." Then I looked closer. Mind. Blown! Also mind blowing was the organization of the show, the thought and care that went into it. Quilt shows are HUGE undertakings. Big hours of planning and prep are put into them, plus hanging them, manning them and taking them down (not to mention the security and returning the quilts). As with all things of greatness, all that hard work that went into VMQG's show made it look easy breezy, fresh and beautiful.